The Alfred Wegener Institute (AWI) is a pioneer in digitalisation of research data acquisition processes. 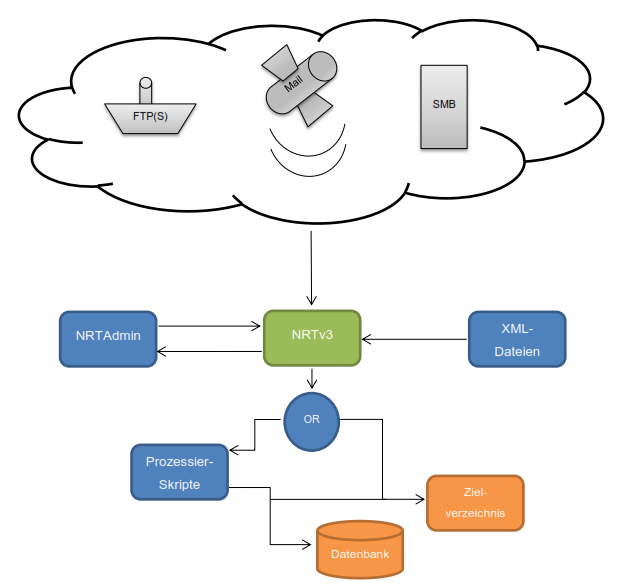 They use a FIELAX data collection framework to automatically collect data from various research platforms worldwide such as drift buoys in the Arctic, satellite base stations or moving vessels. 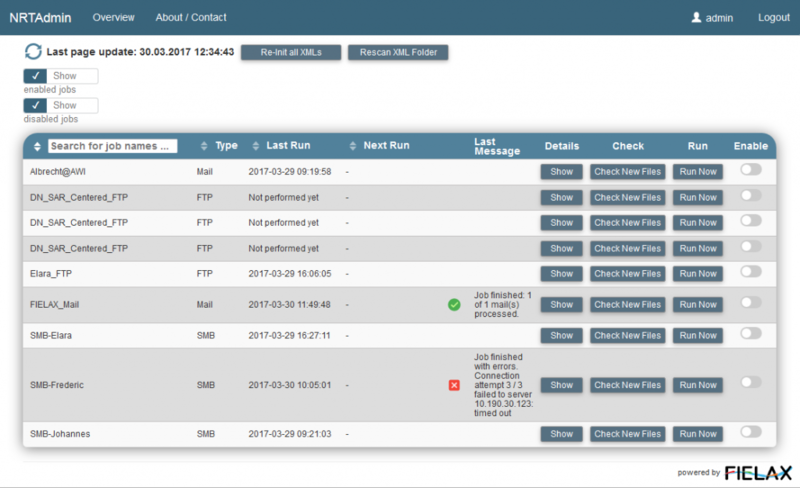 The framework continuously collects so called “near real time” (NRT) data via protocols like FTP, SMB or IMAP. Regular expressions and filters help to specify only a subset of data files / emails to be downloaded. Post-processing scripts can be automatically triggered after a successful download. The framework is currently installed at AWI and on AWI’s research icebreaker RV “Polarstern” helping out there to acquire e. g. satellite-based ice concentration or meteorology maps.